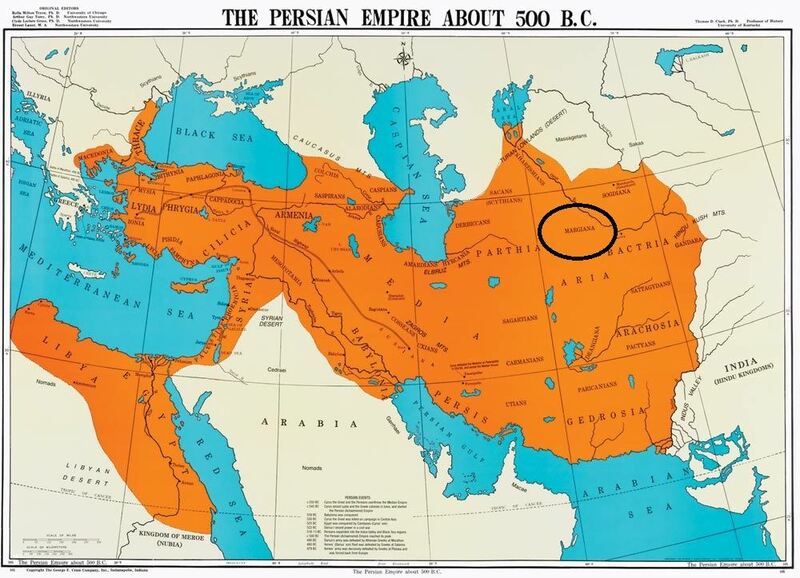 Margiana is a historical region centred on the oasis of Merv and was a minor satrapy within the Achaemenid satrapy of Bactria, and a province within its successors, the Seleucid, Parthian and Sasanian empires. It was located in the valley of the Murghab River which has its sources in the mountains of Afghanistan, and passes through Murghab District in modern Afghanistan, and then reaches the oasis of Merv in modern Turkmenistan. Margiana bordered Parthia to the south-west, Aria in the south, Bactria in the east and Sogdia in the north. Margiana's position along the Silk Road led to the development of a diverse religious demography in the period prior to the Islamic Conquest. Although most of the population in Margiana practised Zoroastrianism, Buddhist, Christian, Manichaean and Jewish communities also existed and thrived in Margiana. Buddhist monasteries are known to have existed in Margiana, and the city of Merv acted as a major centre of Buddhist learning. A Manichaean community is known to have existed from the mid 3rd century AD.